Visitors can talk directly with professionals at the gardens during the show, or attend free seminars for more information. 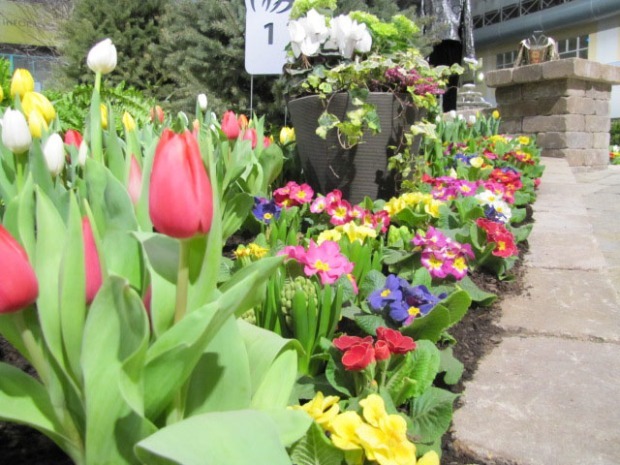 The annual Chicago Flower and Garden Show will be in full bloom March 9 through March 17. The premier flower and landscape show of the Midwest brings together the Chicago-area’s finest landscape architects, garden builders, artists, artists chefs and merchants. The event kicks off with the "Evening in Bloom" preview party on Friday, March 8 from 6 p.m. to 9:30 p.m. Tickets are $125 per person and proceeds will benefit local greening charities and non-profit organizations. The flower show itself will be held Saturday, March 9 through Sunday, March 17 at Navy Pier Festival Halls A & B. Monday through Saturday the event will be open 10 a.m. to 8 p.m., and 10 a.m. to 6 p.m. on Sunday. The flower show began in 1847 to inspire and educate gardeners of all expertise with tips and idea they can implement on their own gardens and landscapes. The show welcomes upwards of 50,000 visitors each year. The show will feature several new elements and completely redesigned gardens, including a first-ever U.S. exhibition of Ecuadorian roses, one-of-a-kind artworks from acclaimed artists Emmy Star Brown, “Jurustic” Park featuring iron-sculpted animals and a “Garden of Victory” highlighting the World War Two Victory Gardens. Tickets can be purchased online for $15 for weekday admission and $17 for weekend admission. Tickets for children 4 through 12 are $5. Tickets can be purchased at the box office for an additional $2.